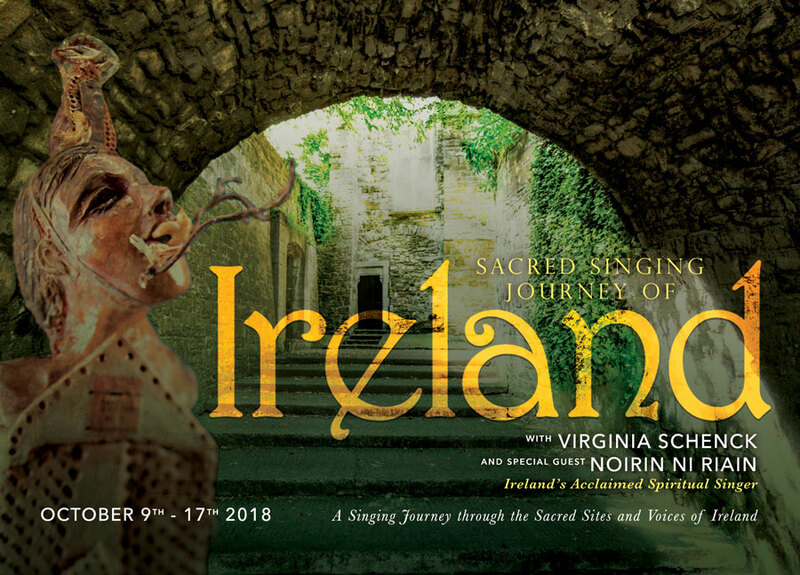 Join vocal artist Virginia Schenck, with special guest Nóirín Ní Riain, Ireland’s acclaimed spiritual singer, to explore the voices, sounds, and sacred sites of Ireland. All singers welcome! Our Sacred Earth holds many traditional forms and expressions of music that arise from her core and people. Few are more alluring and enduring than the Voices of Ireland. Celtic tradition views culture close to the earth and her elements, rising in early rituals at such places as the neolithic Newgrange and Loughcrew and Sligo’s cairns of Carrowmore and Carrowkeel, St. Patrick’s hill of Slane and the High King’s hill of Tara, Yeats’ beloved Isle of Innisfree and the Holy Island on Lough Derg, to the symphony of sea sounds at the Cliffs of Moher. From Sean-nós singing to the Gregorian chant of the monks of Glenstal Abbey, from ritual chants to pub music, we will listen, explore, and sing ourselves in this spiritual and mystical, music-filled land.